Welcome to the Live 18th Centry website! Welcome to the Live 18th Century HomePage! Some of our group are also members of the Continental Line. both in battle and in camp. sponsored events as well as many other gatherings each year. 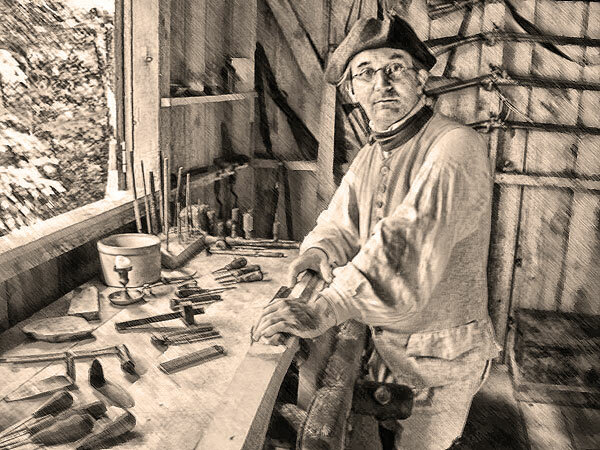 Researching and re-enacting 18th century life is an enjoyable hobby. Bits and pieces of information can unlock the doors to understanding how our forefathers lived. Large amounts of information must be investigated each year to gain the small bits of knowledge that give us a glimpse of what they considered ordinary life. My goal with these pages is to help inform those that are interested and to try to share some intriguing bits of what I have found. Gourds: as containers The hard shell gourd; styles and discription of making a water bottle or canteen. The 18th century Woodsman; accoutrements An observation in practice! Who Was TURKEY ? of "CHAINBREAKER" fame. This piece of historical documentation may shed new light on his identity! 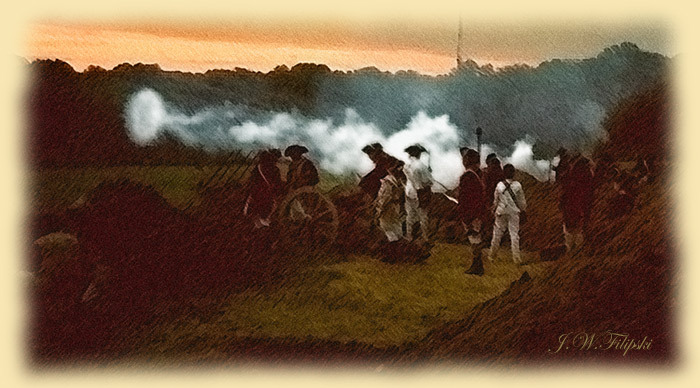 7 inch Revolutionary War Howitzer firing Courtesy of James Bell , 11th Pa Regiment. Here are also some links which I find helpful and interesting that pertain to this time period.